For any artist it would be worth it to take a day to ride the NYC subway in search of great art. I lived in NYC for several years and during that time I shamefully did not take the time to slow down and look at my surroundings when using the subway. That oversight was corrected a few weeks ago while bumming around NYC with some friends checking out a few of the many artworks the subway has to offer. Don’t overlook Penn Station and delve deeper when you hit Grand Central Station, where you can also find New York Transit Museum Gallery Annex & Store at Grand Central Terminal. I know what you are thinking, but worth checking out. If you need more you can go to the New York Transit Museum located at the corner of Boerum Place and Schermerhorn Street, Brooklyn Heights. 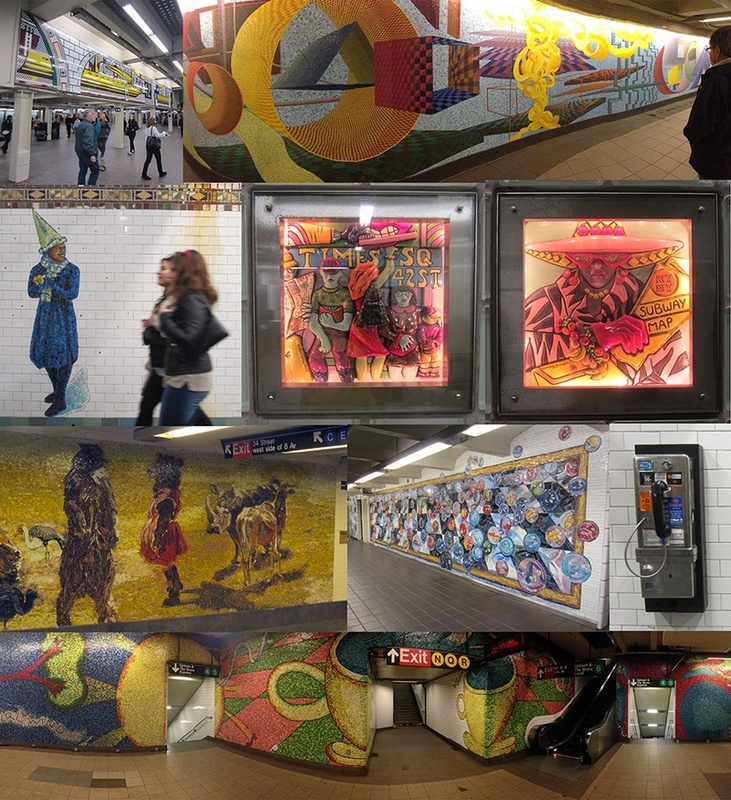 These are just a few snaps I took while on my subway art safari. Many more stops to visit in the future. While you are jaunting about the city in search of subway art also check out St. Peter’s Church. You’ll be enlightened by Vignelli’s imaginative reinvention of a church’s interior, plus you’ll find the work of Louise Nevelson in the Chapel Of The Good Shepherd upstairs at Saint Peter’s Church.